Limited Edition Bloody Vinyl + Poster! 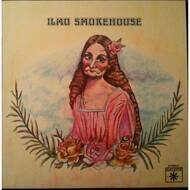 Two founding members of legendary '60s bands Gonn and Ilmo Smokehouse reunite for their first album of all new material together since 1969! Staying absolutely true to their roots, legendary midwestern guitarist Slink Rand and bassist/vocalist Craig 'Wolf' Moore have written and produced an album of brand new classic rock with roots firmly within foundational late '60s/'70s hard-hitting bluesy riff-rock. Moore calls it 'Woodstock Meets AC/DC' or 'Montrose Meets Mountain'. All tracks are original except for a unique arrangement of the classic 'Summertime' based on the 1962 Ricky Nelson/James Burton version that was buried on a B-side.